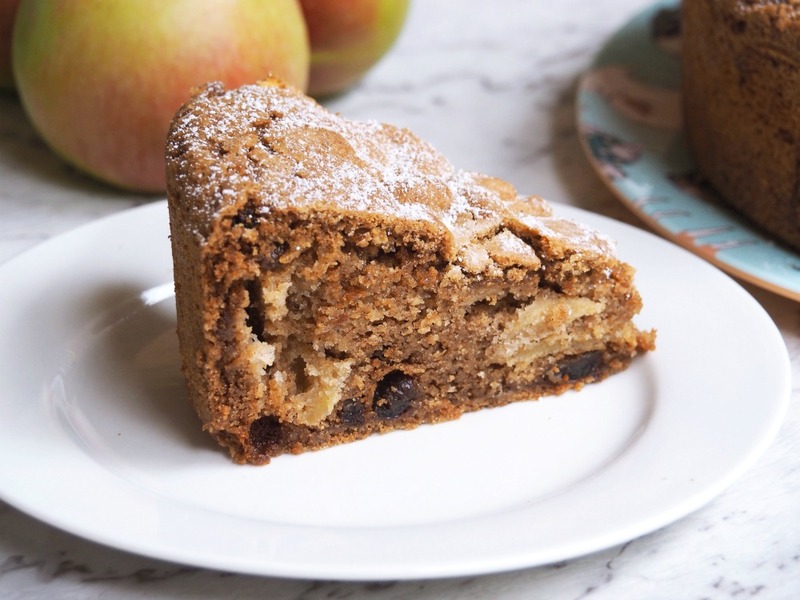 This Annabel Langbein inspired apple cake travels well, keeps well, freezes well and goes down a treat with a cup of tea or served warm with some ice cream or custard for dessert! It’s an apple all-rounder! I found this recipe in an old BBC Good Food magazine. I love the one-pot pan method and the end result is a deliciously moist, flavoursome cake with a delicious light crusty topping. It was love at first bake and I’ve been loving on it ever since… And so has everyone else, it’s one of the most popular recipes on the blog. Even after all these years! Last weekend I crossed another thing off my list of 101 Things to Do in 1001 Days and went fruit picking. It was such jolly fun, I really don’t know why I haven’t done it before. I was picking those apples like a boss and of course, I made a pit stop at the cider store on the way out! But back to the apples, now I’ve got an excess (is there such a thing as too many apples?!) I decided it was time to give this recipe a revamp. 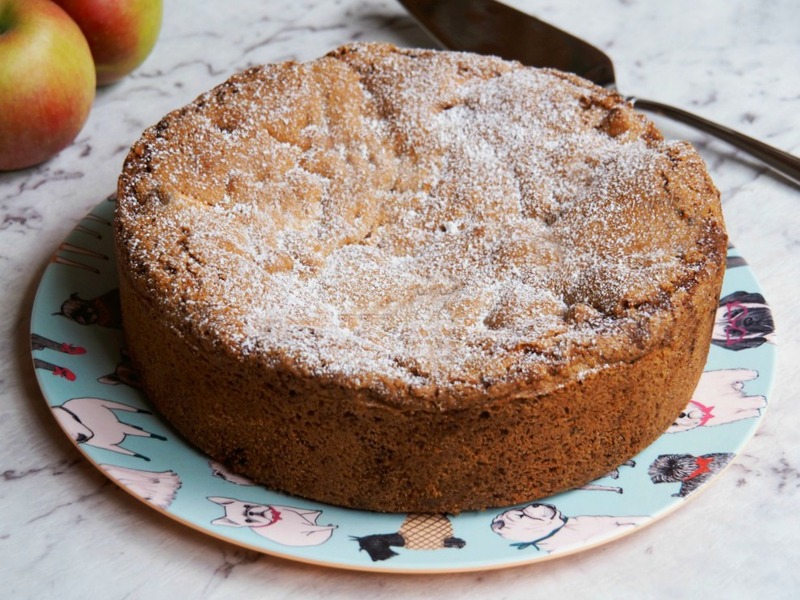 Incidentally, you might notice there’s no Thermomix conversion for this recipe but that’s because this recipe is so easy, all you need is a pan and a spoon (and a cake tin for later!) 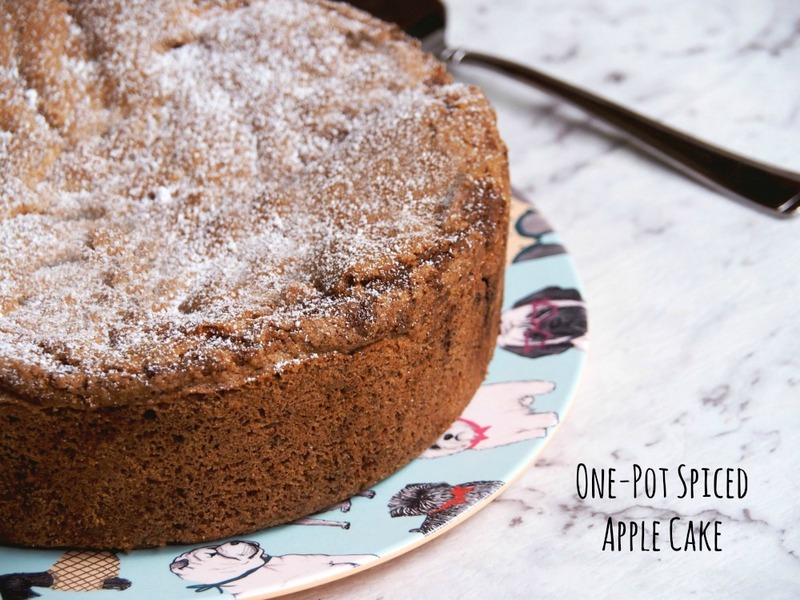 I’d forgotten how much I loved this one pot wonder with all it’s apple and cinnamony and sultana goodness. 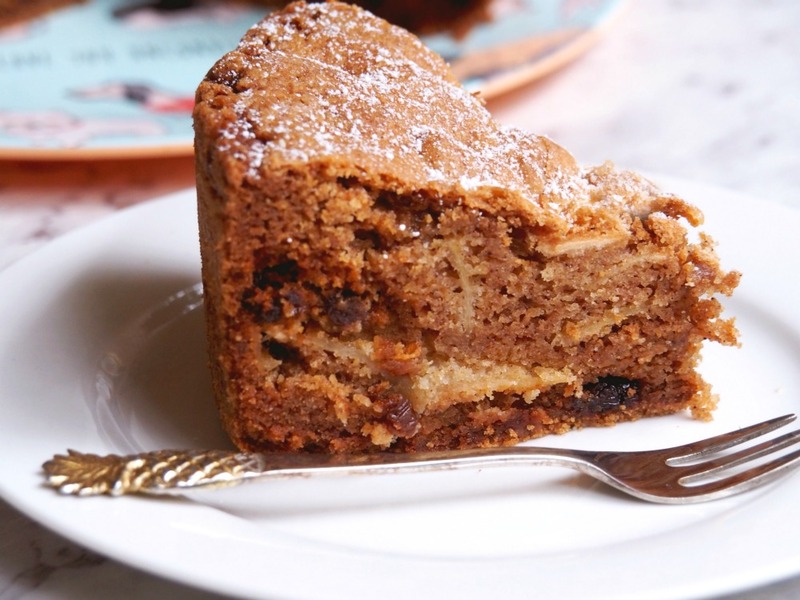 It’s so deliciously moist and so versatile, perfect as a teatime treat or as a dessert or why not both?! Have you ever been fruit picking? 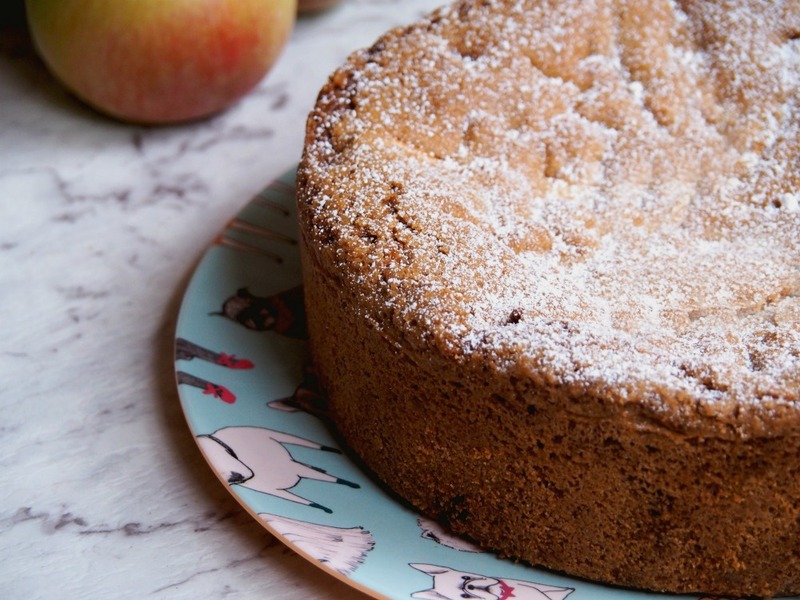 Have you got a favourite apple recipe? 1. Preheat oven to 170C. Grease base and sides of a 26cm round cake pan and line base with baking paper. 2. Melt butter in a large saucepan on medium heat. Remove from the heat and mix in apples and sugar, then eggs. Stir in flour, baking powder, bicarbonate of soda, cinnamon and sultanas. Stir just enough to blend evenly. Don’t worry – the batter will be quite thick and very bulky. Plop it into the prepared pan and bake for about 1 hour 20 minutes, until risen and golden. Gently insert a cake tester so as not to crack the top of the cake, it’s ready if it comes out clean. If the cake is browning too quickly, cover loosely with foil. 3. Cool in pan for 15 minutes, then turn out onto a wire rack to cool. Dust with icing sugar to serve. TIP! The cake keeps well in the fridge for 3-4 days and freezes well too.